Guest Article: Getting beyond the hype and hyperbole – what is clinical interoperability? There is so much hype around healthcare and clinical data interoperability – I get emails all the time asking about what all of it means and the comments I received on the recent articles about it have been great. I’ve posted about interoperability before but I thought I’d reach out to Charlie Harp to see if he can explain it in plain English. Charlie is the CEO and founder of Clinical Architecture. Charlie has spent the last twenty years designing and developing software solutions in the healthcare industry. 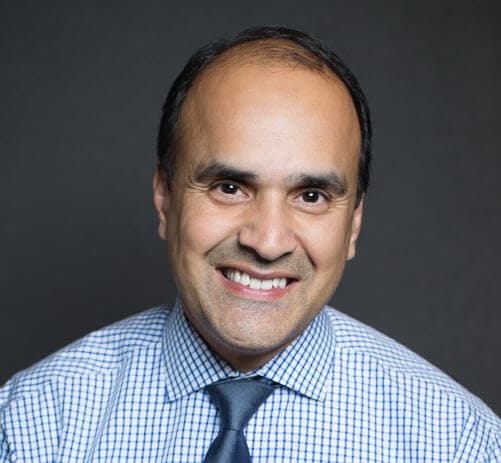 His experience includes laboratory systems, clinical trial data management platforms and clinical decision support systems for hospital, practice management and retail pharmacy applications. Here’s what he had to say in this first part of a series I’ll be doing on interoperability. If you have seen the movie Independence Day, you may recall that the nerd/hero of the movie, played by Jeff Goldblum, saves the day by interfacing with the alien mother ship and uploading a virus from the modem on his laptop. When I saw this the first time, I looked around at the other people in the audience to see if it was just me, or if they too wanted to walk out of the theater. I know that while watching a movie, especially about alien invasions, you are supposed to ‘suspend your disbelief.’ At that point in the movie, I would not have had to suspend my disbelief any further if, in the next scene, he attacked the mother ship while riding on the back of a unicorn. This is because I have spent a good part of my professional career dealing with the issues related to application interoperability. I would have been more willing to accept that the aliens spent the last ten years retooling their ships to communicate using HL7 messages (in which case the hero would still not have been able to do what he did). This article is the first in a series about the challenges of clinical interoperability in healthcare. I like this definition because it is short and sweet, but to truly understand interoperability, we need to go a little further. The first thing we need to do is add that clinical interoperability is about exchanging a specific type of information. It is about exchanging clinical information about a patient that allows our ‘partner’ to leverage what we already know about them. When solving a problem of interoperability you need to address three aspects of interoperability to be successful. To interoperate between systems you need to address Physical Interoperability, Syntactic Interoperability and Semantic Interoperability. Physical interoperability is so ubiquitous in information exchange that people no longer even think about it, but without it we have no hope of interoperating. Physical interoperability is the physical connections that allow the information to move from place to place be it an ethernet cable, a wireless network or the string connecting the two soup cans. Syntactic interoperability means that the two systems have an agreed upon syntax for the exchange of information and a common understanding of the context that is being addressed. In the real world of healthcare IT this aspect is managed through negotiated or standard structures and messaging standards, like HL7. I like to think of this as the container that holds the information. This aspect of interoperability means that two systems can understand what each other is saying. In the real world of healthcare IT, semantic interoperability issues are significant, due to the proliferation of vocabularies that exist across content and application vendors. When you examine these aspects, the first one, physical interoperability, does not seem to be an issue. The commercialization of the internet forced the establishment of physical interoperability standards and syntactic interoperability standards for general communication in the mid-late 1990s. In Healthcare, a great deal of effort has been put into the syntactic aspect of interoperability. Messaging standards have emerged over the years to cover certain aspect of interoperability in healthcare. Standards like the SCRIPT standard, from NCPDP, the HL7 patient context messaging standard and the Continuity of Care Record from the American Academy of Family Physicians, have made strides in establishing structured formats for syntactic interoperability. While in some cases dominant standards have not emerged, if you can pick a standard there is a reasonable chance that you can create adapters that will support compatibility to other standards that do the same thing. The value of a standard format is: it makes you think about the data elements you need to exchange. The difference between competing standards is less of a challenge if you have all of the pieces. So, if we have all this in place, why is interoperability so difficult in healthcare? Semantic Interoperability is the great spoiler of clinical interoperability. The terms and code sets that applications use to represent data are not consistent. Even if we put our various codes in all the right buckets of a standard message format, there is no guarantee that the recipient of the message speaks our language. Why is Semantic Interoperability such a problem? If you think about it, physical and syntactic interoperability are both about the need to interoperate. They are both all about connecting and communicating. Like a bridge, they were built to connect points A and B together. Clinical code sets, like language, were built first to support a local, internal, function requirements and the need to communicate externally came later. Unfortunately, the nature of code sets results in their being deeply ingrained into a systems DNA, so simply swapping them out is not always a cost effective option. Since we can’t replace our code sets, we must find a way to translate them. That is the challenge of semantic interoperability. When we talk about clinical interoperability, it comes down (1) finding the best syntactic interoperability mechanism (or messaging standard) for our purposes and (2) determining how we translate our internal code sets into something our partner will understand. Before we get into the process of sorting out these two items we will first talk about why clinical interoperability is important. That will be the subject of the next article. Guest Article: Why does clinical interoperability matter?